As Transport Planning and Highway Consultants, the team at PEP know all about getting from A to B. But does transportation means so much to them that they’ve brought their work indoors? 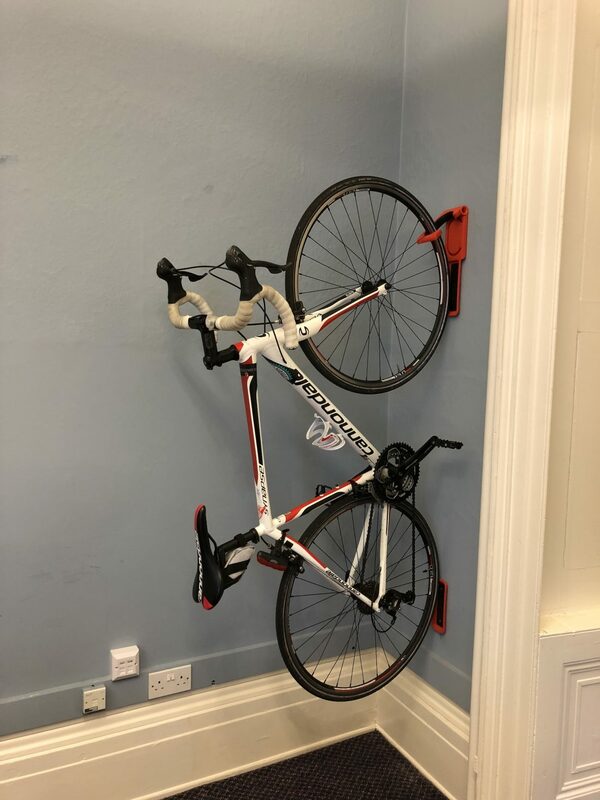 Keen to reduce their personal carbon footprint – and add an hour to their lives for every hour spent cycling (according to David Spiegelhater, the Winton Professor of Risk at Cambridge University), many of the team ride their bikes to PEP’s Clifton offices in Bristol each day. But where to put them? Well they store them securely indoors, off the floor, in the boardroom, where else? Whilst the electric bike that one of the directors rides to work on is a handily folded away. PEP is forward thinking about four wheels too. The charging point has been installed for the first company hybrid car and the hope is that there will soon be more in the car park.